Original filter for LG refrigerator. It is placed inside the LG refrigerator. LG Code: 5231JA2002A. Also referred to as LT500P. Original filter for LG refrigerator. It is placed inside the LG refrigerator. LG Code: 5231JA2002A. Also referred to as LT500P. Duration 1892 liters (500 gallons) or 6 months. Some refrigerators have a light that comes on when the time comes to replace the filter. 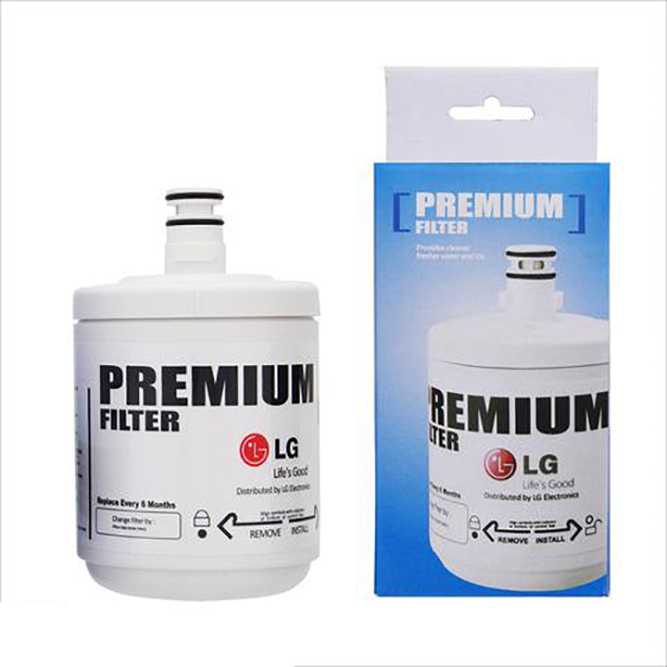 For LG refrigerators, there are three different filters: 5231JA2002A (short interior), 5231JA2006A-S (long interior) and the external radiator filter that can be replaced with the Pure Pro general type external filter. It reduces chlorine by 92% and sediments and dirt by 96%.